1 Present: Sam Corcoran (chair), Sandra Link (notes), Georgina Richards, Mark Thompson, Ann Mallin-Jones, Rachel Cullen, Sarah Polese, Kerryn Hudson, Joe O’Toole, Christiana Obojiofor, Richard Kellett, Vivienne Gorst, Mick Roberts, Kath Cliffe, Peter Wilson, Jill Rhodes, Helen Wilman, David Spall, Pam Spall. Apologies: Pamela Taylor, Linda Kellett, Sue Thompson, Elizabeth Meehan, Sade Coyne, St Micheals Church Coppenhall, Andrew Mallin-Jones. 2 Welcome and introductions: Sam Corcoran welcomed everyone to the meeting and introduced the board and staff members. It was confirmed that the meeting was quorate. 3 Approval of SGM Notes from 2018: The notes were approved as an accurate record of the meeting held on 12 September 2018. 4 Actions arising from 12.9.18: Sam Corcoran reported that all rule changes had been approved by FCA with the exception of the request that CNCU be permitted to not write to all members individually to notify them of changes and meetings. The FCA replied by insisting that all memebr are individually notified. However, in order to reduce costs it is permissable to notify members by email or text message. All members were requested to ensure that CNCU has their email and mobile phone numbers. 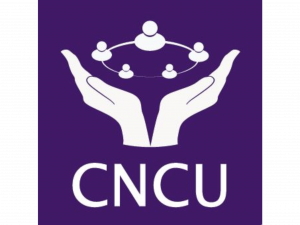 5 Report of the Board of Directors: Sam Corcoran stated that (i) Cheshire East Council remain supportive of CNCU as evidenced by free use of premises. However CEC has confirmed that no further grant funding will be provided but the loan of £60k, released quarterly at £7.5k per quarter over a two year period has been approved and the first tranche accessed. (ii) The aim of increasing jam jar accounts has not been as successful as hoped. The Landlords forum had been attended recently in an effort to get landlords signed up for their tenants to pay rent and other key bills. There are currently 38 jam jar accounts. It was confirmed that the charge is £5 per month and the landlord can pay the fee. (iii) The loan book has been increased with particulary good months in December 2018 and February 2019. The evidence is promising but CNCU is not yet profitable. Strong views were expressed from the floor about promotion of the landlord budget account service and members were assured that this will continue to be developed. Sam Corcoran suggested that break even could be achieved in approximately 12 months time if the loan book continues to increase. Chancellor Phillip Hammond delivered the budget speech today and cited support for the Credit Union sector. He proposed that Credit Unions may hold a “Prize Draw” for their members as opposed to paying interest on deposits. This is an exciting opportunity that our Board of Directors are keen to investigate. Watch this space! Attendance: Sandra Link, Rod Langford, Nina Hammill (Crewe + District Trades Council), Daniel Goron, Maria Balogoua, Deidre Meredith, David Spall, Pamela Spall, Vivienne Gorst, Mandy Gorst, David Johnson, Kath Cliffe, Sam Corcoran, Joe O’Toole, Ann Mallin-Jones, Andrew Mallin-Jones, Sarah Polese, Jack Chrisp, Linda Kellett, Richard Kellett, Georgina Richards, David Miles, Charles Razzall, Edith Pearson, Mark Thompson, Liz Smith, Steven Roberts, Lesley Morgan, Brian Roberts, Mick Roberts. The Chair of the Board, Brian Roberts (BR) welcomed everyone to the meeting and introduced those board members present. The meeting was confirmed as quorate. Apologies for absence were received from 9 people and those people present who were not members were reminded they couldn’t vote. It was confirmed by Sam Corcoran (SC) that all restrictions imposed by Bank of England had been lifted and CNCU was still trading. Thanks were due to the staff and volunteers for coping so well during uncertain times. Staff in attendance were invited to speak and the newly appointed office supervisor Georgina Richards (GR) invited members to contact her with suggestions for improving customer service. SC referred to the Business Plan presented on 24 April 2018 and that CNCU business needed to increase to make CNCU viable, which included promotion of the JamJar Budgeting account, as well as small loans. CNCU has a fast-track loan application process for members in receipt of a regular income such as child credit payments. Improved computer system to be installed early October 2018 with system down 3.10.18. CEC is prepared to give a subordinated loan of £60k, not repayable for 5 years with initial interest of 10% which will reduce if CNCU presents as lower risk. The loan was approved at meeting of 24.4.18, it has not been activated and is being held in reserve. Crewe Town Council has provided a grant of £2300 for promotional materials and Board members have been active in promoting the CNCU at community events. Treasurers Report was delivered by SC with accounts circulated for year end 30.9.17 which showed a deficit of £10,937 with a similar deficit expected for 2018. CNCU remains just above 3% reserve required by the Bank of England. Credit Committee reported that loans that are being made are generally good with low levels of bad debt. CNCU has a history of not taking people to Court but is in the process of recruiting a volunteer to take this role. The current process for chasing bad debts was explained. Report of the Auditor and consideration of accounts – SC proposed that the audited accounts that were circulated be approved and this was carried. Appointment of Auditor generated discussion in relation to charges and it was agreed that Gardner Accountants be approved with the caveat to seek a more realistically priced auditor if possible. Election of Directors – BR noted that since 24.4.18 two newly elected board members had resigned and Kath Cliffe had been co-opted. Brian Roberts, Sandra Link, Sam Corcoran, Mick Roberts, Natasha Maroni and Kath Cliffe were appointed. Members authorised co-option to a maximum board size of 9 members. The Credit Committee were elected – Andrew Mallin-Jones, Ann Mallin-Jones, Sarah Polese, Richard Kellett and Georgina Richards as Chair. Supervisory Committee – there is currently no such committee in place. It was noted that this is a requirement of the Rules. The role is to act as an independent watchdog, appointed by members. Agreed that GR and Kath Cliffe would seek to identify 3 suitable members to appoint and post the details on the website. Extend common bond to Staffordshire. Carried. Increase maximum account balance to £15,000. Carried. Delete Rule 66 related to insuring members loans. Carried. Remove requirement to be member of ABCUL. Carried. Clarity was sought about Rule 112 and it was clarified that board meetings do not need to be held each calendar month. A discussion about the ‘Notification of New Charges’ took place and further explanation about the charges was provided by SC, together with clarification and further definition about ‘Dormant Accounts’ (see rules 30-34). The next Annual General Meeting will take place at the same venue on Wednesday 6 March 2019 commencing 6.15pm. Here we will publish Service Alerts and information about new Products and Services for our Members.